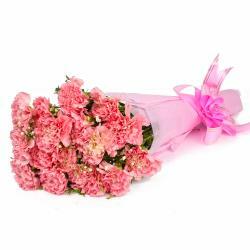 Product Consist : 16 Pink Carnations with green fillers in Cellophane Wrapping with Ribbon Bow on it. 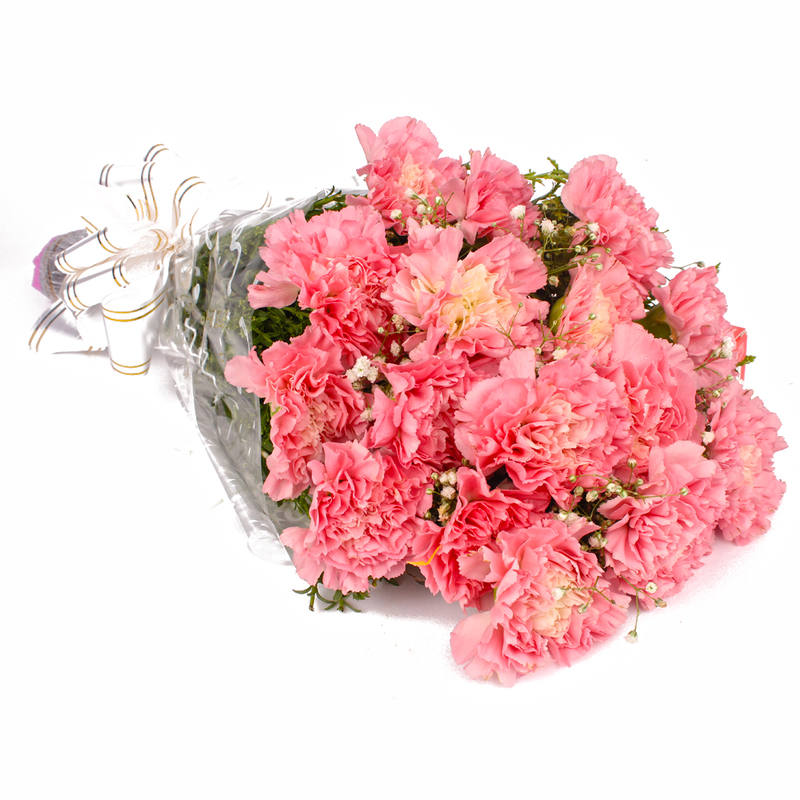 If your beloved loves these flowers, then this Pink Carnations bouquet is the best way to surprise him / her. 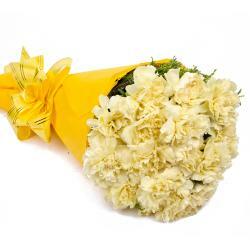 It looks beautiful for the freshness of the flowers and the arranged. 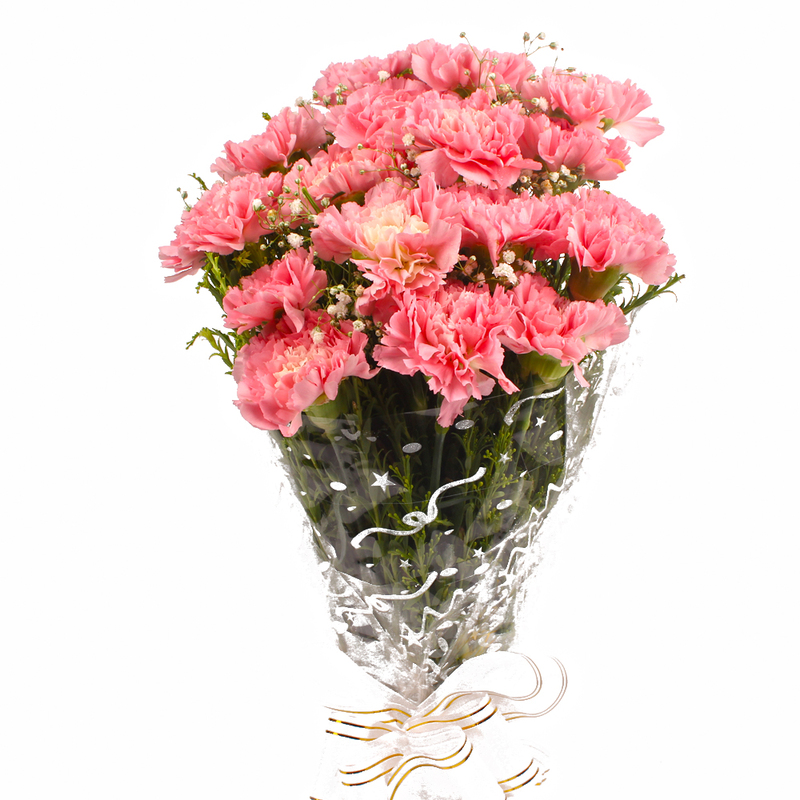 The bouquet comprises of sixteen stem of Pink Carnations that have been wrapped in cellophane paper. The finishing touch has been lent with a bow tied around it using a matching ribbon. 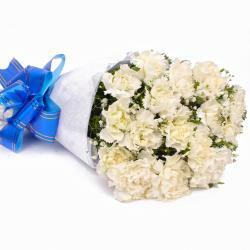 Apart from surprising your beloved, you can gift the bouquet on Birthday, Anniversary, Wedding, Bhaidooj, Mothers Day and wedding and even send congratulations for promotions and other celebratory occasions. 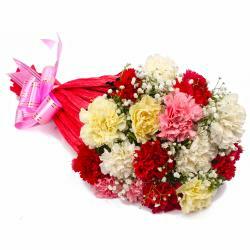 Product Contains : 16 Pink Carnations with green fillers in Cellophane Wrapping with Ribbon Bow on it.